This influential book describes the knowledge and skills teachers and school administrators need to recognize and combat bias and inequity that undermine educational engagement for students experiencing poverty. The Second Edition features two new chapters―“Embracing a Structural View of Poverty and Education: Ditching Deficit Ideology and Quitting Grit” and “Cultivating School Change through Equity Literacy: Commitments and Strategies for School and District Leaders”―plus extensive revisions throughout based on newly available research and lessons from the author’s professional development work. Gorski outlines the dangers of “grit” and deficit perspectives as responses to educational disparities; offers research-informed, on-the-ground strategies for teaching and leading with equity literacy; and provides expanded lists of resources and readings to support transformative equity work in high-poverty and mixed-class schools. 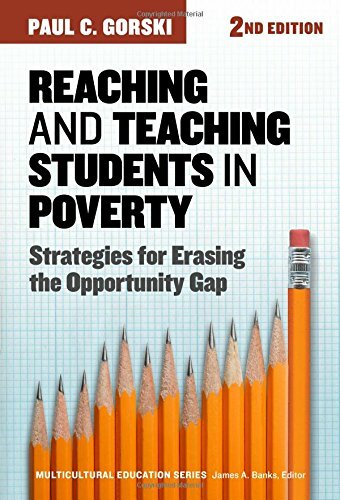 Written in an engaging, conversational style that makes complex concepts accessible, this book will help readers learn how to recognize and respond to even the subtlest inequities in their classrooms, schools, and districts. Offers a research-informed alternative to popular simplistic approaches that undermine genuine efforts at educational equity. Outlines evidence-based strategies, policies, and practices that strengthen the educational success of students experiencing poverty. Incorporates vignettes to help readers reflect on key points and apply the Equity Literacy framework to classroom- and school-based scenarios. Embraces an intersectional approach to recognizing how class and poverty interact with race, gender, language, (dis)ability, and other dimensions of identity and experience. Includes an updated Poverty and Class Awareness Quiz.